I enjoy serving my clients as they navigate difficult situations involving personal injuries, car wrecks, and domestic problems. I also enjoy giving back to the Florence community. 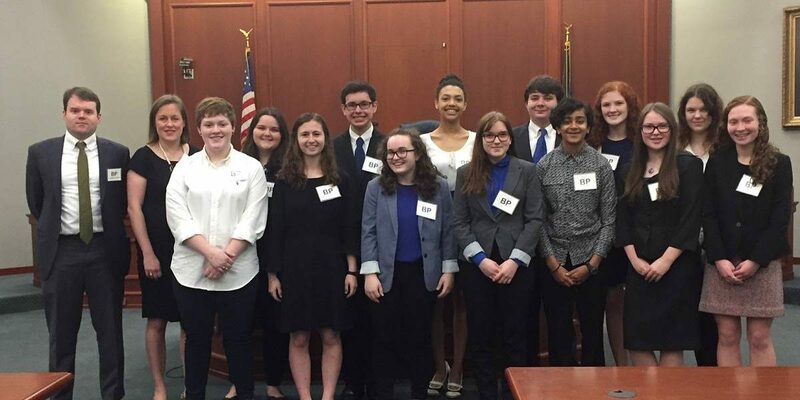 One of the most rewarding ways I have been able to get involved in our community has been through my role as attorney coach for the Wilson High School Mock Trial team the past six years. 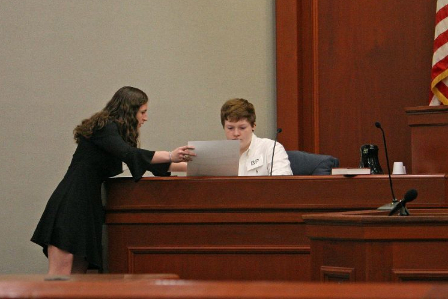 A Wilson attorney questions her witness on direct examination. Mock trial is an academic competition. 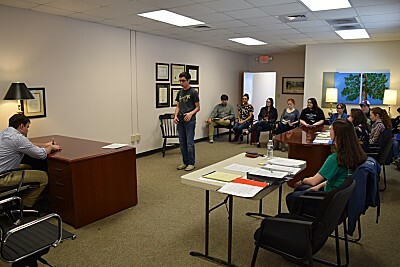 Students from across the state take on the roles of lawyers and witnesses as they present and argue a made-up case. Every time I participate in a mock trial case, I am amazed at the high level of skill and confidence these students show. Somehow, they’re still able to juggle advanced courses, volunteer work, and other clubs and sports. I first got involved with this team because my wife is an English teacher at Wilson and one of the teacher coaches. It has been rewarding to bring both of our careers together to help the next generation. 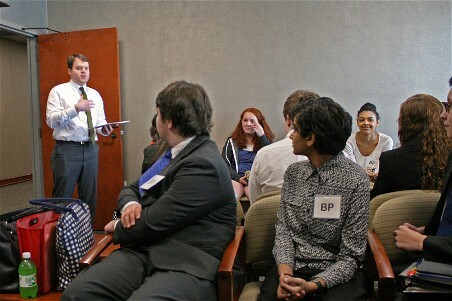 I have been very proud of the ability of the Wilson Mock Trial Team’s ability to take each year’s case and prepare a large portion of the theme and theory of their case on their own. Then, I work with them through scrimmages and meetings. We hone the presentation of their case and work on legal skills such as arguing objections and handling exhibits. We are fortunate that members of the Florence County Bar have been willing to volunteer their time to add their valuable input to our team’s progress. Also, we appreciate the sitting judges who welcome us into their courtrooms to give the students a flavor for competition. My favorite part of coaching is seeing the team in action at competition. The past two years we have advanced from regionals to the state competition in Columbia. I see big things on the horizon for this talented group. These are some really sharp kids! In fact, they perform better than some practicing attorneys I’ve seen in the courtroom. I’ve really enjoyed seeing their skills develop over the years. This year the rest of the competitors in the state competition voted our Wilson team to receive the Professionalism and Civility Award. This honor goes to the group of students who best represents the ideals of professionalism and civility through sportsmanship and fair play in the competition. Wilson students are top notch! This group made their families, school, and coaches proud throughout this season.